Hospital, through their ongoing participation in the corporate blood drive. Hospital Blood Bank at our recent blood drive,” said Dave Weeden, Oil Search Medical and Occupational Health Service Manager. One of those that donated on the day was Arnold Leis from Oil Search Human Resources team, who started donating blood in 2015. “It is very rewarding,” Arnold said. 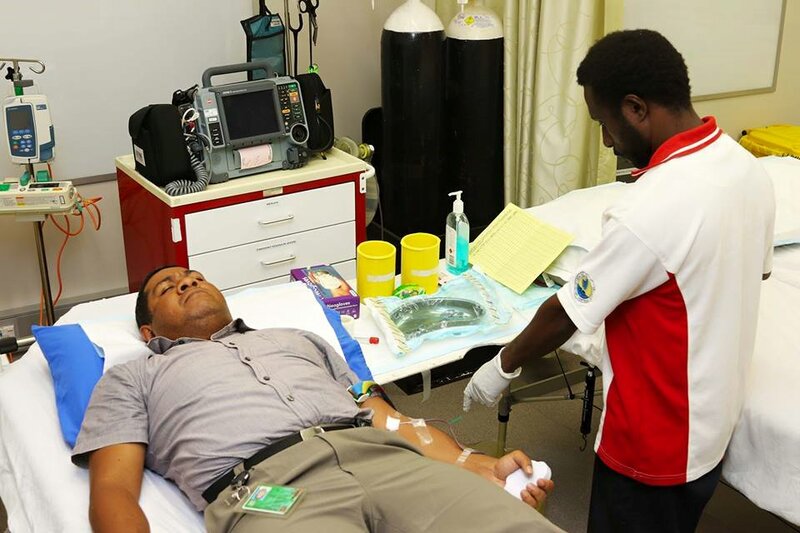 Obahakari Nouairi, Oil Search Business Analyst has been another regular donor and says the blood donation enables him to check his personal health status as well. “It’s a great way to check my blood pressure along with other issues I may have,” Obahakari said. He also encouraged more Oil Search employees to be a part of the next blood drive which will be held in March/April. Oil Search has supported the corporate blood drive since 2015.